This model showed up at my house today. 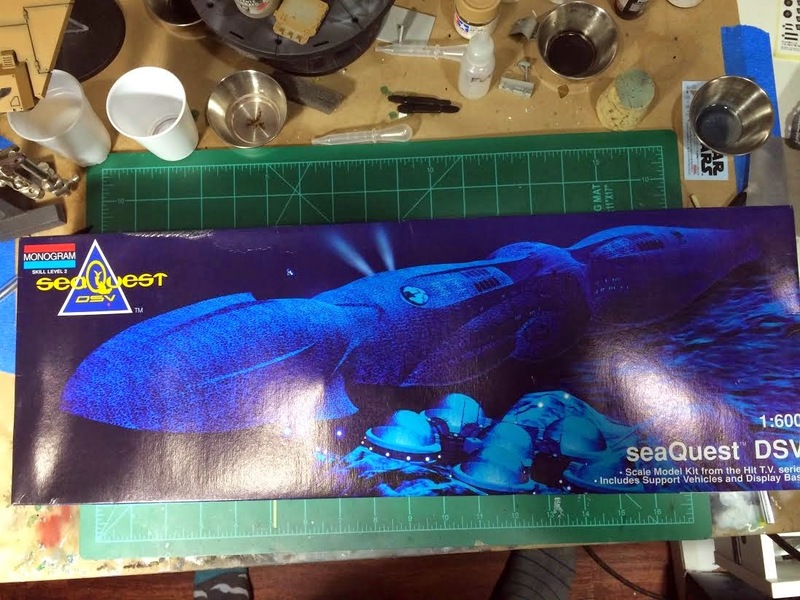 For those of you who don't remember, seaQuest DSV was a short lived, yet stellar, science fiction series that first aired on NBC in 1993. It only lasted three seasons before NBC canceled it, but the first season is superb and is a major part of why I grew up loving science fiction. I found this model on eBay shortly after learning that it existed; I had stumbled upon while search the internet for out of production models. I managed to find a person on eBay selling this model for less than half what others were selling it for so I snatched it up. I will be entering it in the Scale Model Addict Winter Group Build (Modeling the Movies & TV).